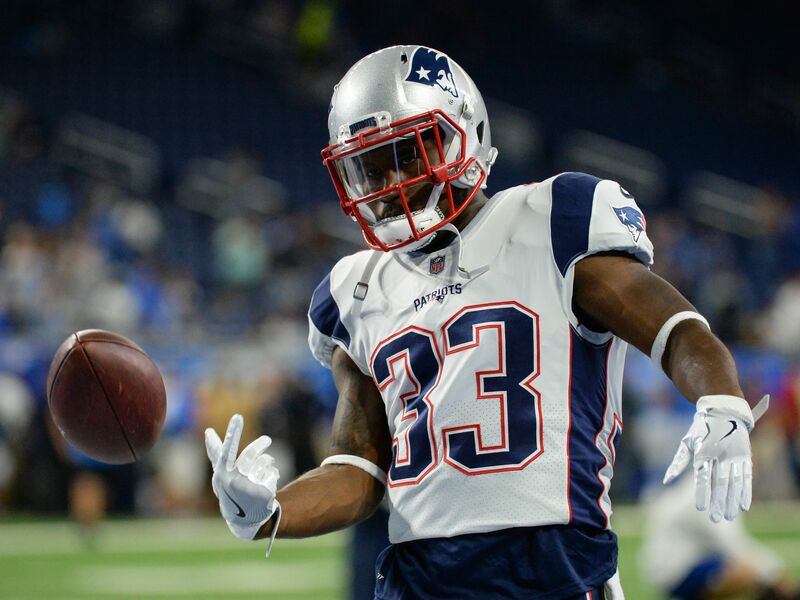 Dion Lewis saw very little action for the Patriots in Week 1, but other teams are apparently showing interest in him. For what it’s worth, Dion Lewis was the New England Patriots’ starting running back for the third preseason game. But that did not translate to much of anything Thursday night against the Kansas City Chiefs, as Lewis played just six offensive snaps and had two carries for nine yards without a pass target. James White saw the most playing time among New England running backs against the Chiefs, with 43 snaps out of 81 offensive plays. Mike Gillislee made the most of his 24 snaps, with three rushing touchdowns, followed by Rex Burkhead (10 snaps) and then Lewis. Perhaps sensing an opportunity, dating back to the offseason too, multiple other teams are reportedly showing interest in trading for Lewis. Lewis has played just seven regular season games in each of the last two seasons, on each side of a torn ACL , averaging 4.6 yards per carry with 53 receptions over those 14 games. His marked lack of usage in the season opener was odd to say the least, but the Patriots didn’t sustain drives very well in the second half either as White was on the field for 27 of 38 plays. It’s notable the Patriots aren’t actively shopping Lewis, and they’d be selling low on him right now anyway. Any time Bill Belichick wants to unload a player that should create skepticism from the other 31 teams, but at least for now it seems to be one-sided conversations from whatever teams are interested in Lewis. Next week against the New Orleans Saints, the entire playing time split in the Patriots’ running back rotation could flip. The way things went offensively against Kansas City for the most part, outside of Gillislee’s three scores, that scenario can’t be ruled out. Lewis, assuming he’s fully healthy, is still an asset that won’t be easily parted with.